1845 Foundation of Friedr. 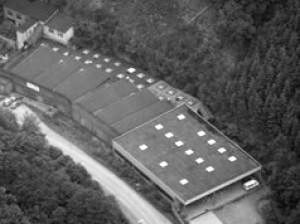 Trurnit GmbH as family-run wire-drawing mill in Altena which at the time was knows as "Cradle of Wire Industry"
1953 Expansion of product selection through the use of wire nail press and thread rollings for manufacturing wire nails and thread nails. Additional production of thermo set operating devices. 1980 Diversification of product selection through procurement of the first injection molding machine and production of thermoplastic fastening elements. After more than 170 years, Friedr. Trurnit GmbH is a traditional company still situated in its founding location and owned by the founding family. 20 employees manufacture a wide assortment of items (e.g. for the building trade, the automotive and electronic industry, and forestry) on a multitude of modern machines.